Those mountains look so much more sudden and looming in person.I overslept and missed my early morning flight due to a misconprehension of the AM/PM difference on my alarm clock. A nice Delta agent helped me rebook when I arrived disheveled, improperly buttoned, and anxious in glasses. 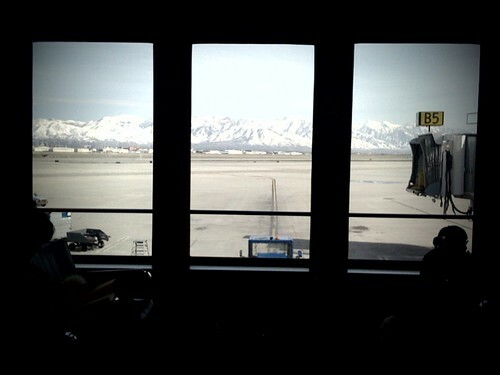 I just hung out there for a whileand now a little more in Salt Lake City, where the airport feels half a size too small and intentionally crowded. You seem to fly an awful lot. Is it for business or are you that guy from Catch Me If You Can? Because of my mixed up flights I did spend a lot of time in the airport on Friday and felt a bit like the guy from the Terminal</a>.